The Tatcha Silk Canvas Primer ($52) has been on my wishlist forever, Tatcha is very popular amongst the US beauty community in particular Tati Westbrook, Jeffree Star and Jaclyn Hill who all have deep pockets for bougie primers and have spread that infatuation to the masses. Unfortunately, getting your hands on Tatcha products in the UK is not as easy, you can purchase certain products from Beautylish and Amazon but with a significant markup. 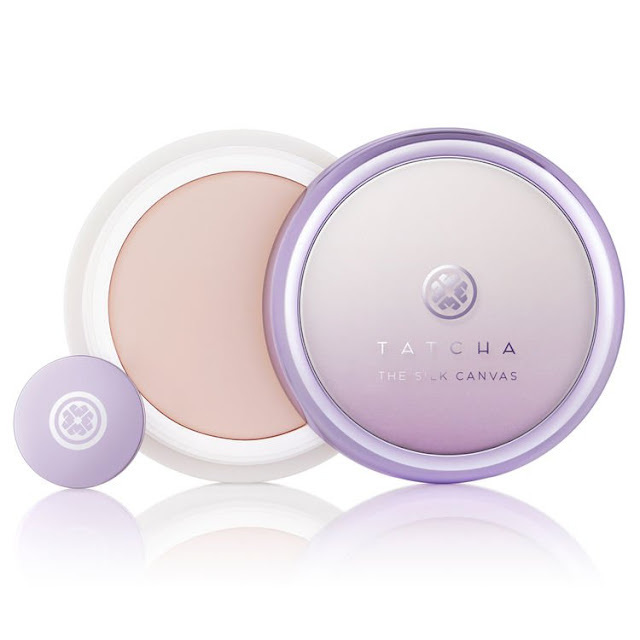 For instance, the Silk Canvas Primer retails for $52 on the Tatcha website and in the UK you can only get it for upwards of £70 on London Loves Beauty and a whoppinh £84 on Amazon UK. Fear not, because ELF Cosmetics might just have a dupe. The Poreless Putty Primer *£8) is packaged similarly with a balm consistency with similar ingredients. You can check out the similarities in the ingredients list below. Tatcha Silk Canvas INGREDIENTS: Net. Wt. 0.7 oz. (20g) - Cyclopentasiloxane, Aqua/Water/Eau, Glycerin, Saccharomyces/Camellia Sinensis Leaf/Cladosiphon Okamuranus/Rice Ferment Filtrate*, Hdi/Trimethylol Hexyllactone Crosspolymer, Propanediol, Dimethicone, Ceresin, Titanium Dioxide, Squalane, Dimethicone/Peg-10/15 Crosspolymer, Sericin, Hydrolyzed Silk, Silk Powder, Caesalpinia Spinosa Fruit Extract, Kappaphycus Alvarezii Extract, Yeast Extract, Distearyldimonium Chloride, Trimethylsiloxysilicate, Zinc Stearate, Aluminum Hydroxide, Stearic Acid, Ethylhexylglycerin, Peg/Ppg-18/18 Dimethicone, Peg-9 Polydimethylsiloxyethyl Dimethicone, Polyglyceryl-2 Diisostearate, Biosaccharide Gum-4, Disodium Edta, Silica, Dimethicone/Vinyl Dimethicone Crosspolymer, Parfum/Fragrance, Isopropyl Alcohol, Phenoxyethanol, Mica (Ci 77019), Tin Oxide (Ci 77861), Iron Oxide (Ci 77491). 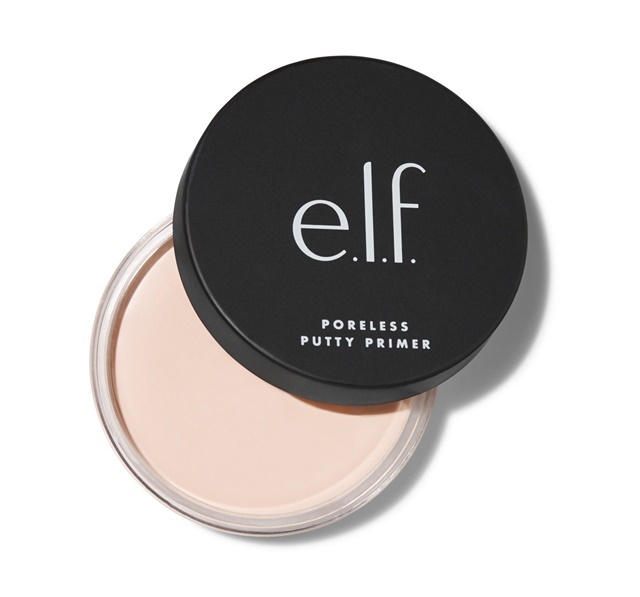 ELF Poreless Putty INGREDIENTS: Net. Wt. 0.74 oz. (21g) - Water (Aqua), Cyclopentasiloxane, Ceresin, Dimethicone, Glycerin, Hydrogenated Polyisobutene, HDI/Trimethylol Hexyllactone Crosspolymer, Polymethylsilsesquioxane, Trimethylsiloxysilicate, Propylene Glycol, Lauryl PEG-10 Tris(trimethylsiloxy)silylethyl Dimethicone, Sodium Chloride, Camellia Sinensis Leaf Extract, Squalane, Oryza Sativa (Rice) Bran Wax, Dimethicone/PEG-10/15 Crosspolymer, Dimethicone Crosspolymer, Silica, Triethoxycaprylylsilane, Talc, Butylene Glycol, Disodium EDTA, Caprylyl Glycol, Ethylhexylglycerin, Phenoxyethanol MAY CONTAIN: Titanium Dioxide (CI 77891), Iron Oxides (CI 77491, CI 77492, CI 77499). Most of you know that ELF is now available in Superdrug in the UK so this news is especially excited and I definitely intend to pick it up when it comes in to do a review on it. As usual it has not come to the UK stores just yet but you can get it on the ELF UK website. But keep your eyes peeled on my blog because the second it hits I will be grabbing it regardless of my no buy (which I have already broken twice). Findng a good primer is a constant struggle for me, so please comment what is your favourite primer? I would love to know. Thank you for reading. Take care. this primer sounds really interesting. I might have to try it if ELF stock it at Superdrug! I don't really buy into pore reducing primers, but this one I think I will try! I haven't tried the Tatcha primer, and the mini version at Sephora looks so tiny for the price! This sounds like something that I would really like to test out.